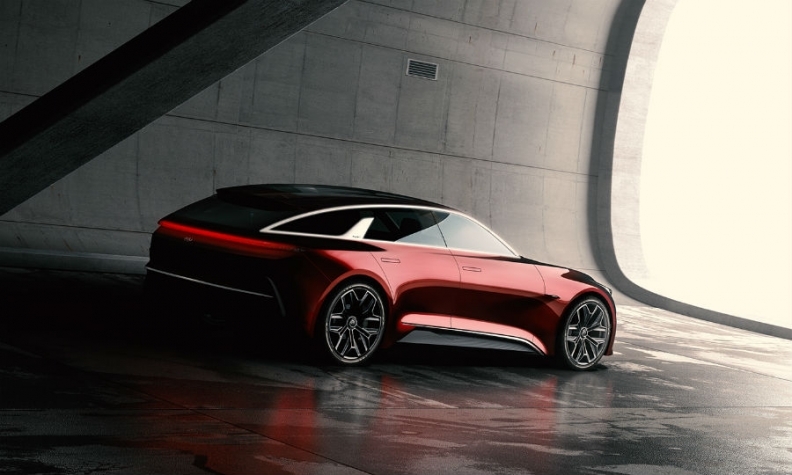 The Kia concept features flush door handles, a rear light bar running the width of the car and sculpted wheel arches that give it a sporty look. Kia will reveal a sporty wagon concept at the Frankfurt auto show intended to preview design elements of the next Cee’d compact and a possible standalone model. The concept has what Kia calls "extended hot hatchback styling." Kia says the look updates the current three-door Pro-Cee’d version of the Cee’d model, suggesting that Kia might offer a fastback model of its new compact instead of a three-door, just as sister company Hyundai has done with the new i30 compact. "We don't make concept cars for no good reason," a Kia source told Automotive News Europe. "It's up for very serious consideration as a standalone model." Kia's sister brand, Hyundai, will also debut in Frankfurt a fastback version of its latest i10 compact car. The standard version of the new Cee'd hatchback could debut at Geneva auto show in March, the source said. The current Cee'd was launched in 2012 and is built in Zilina, Slovakia for European sales. The Frankfurt concept features flush door handles, a rear light bar running the width of the car and sculpted wheel arches that give it a sportier look.